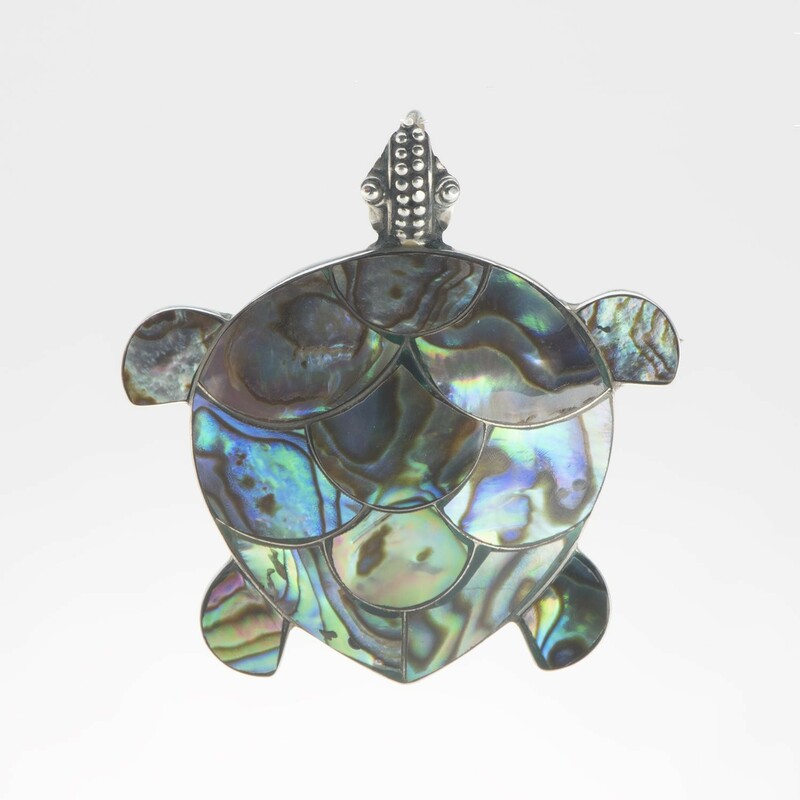 Sterling silver pendants: Natural Paua Turtle Pendant is beautifully carved for women seeking to find solace in natural artifacts. This silver pendant invokes the cool feeling of being submerged in water. Jewelry designs such as this are considered to be one of the best in world. This eter... Read more. Sterling silver pendants: Natural Paua Turtle Pendant is beautifully carved for women seeking to find solace in natural artifacts. This silver pendant invokes the cool feeling of being submerged in water. Jewelry designs such as this are considered to be one of the best in world. This eternal jewelry is extremely precious and graceful to wear.